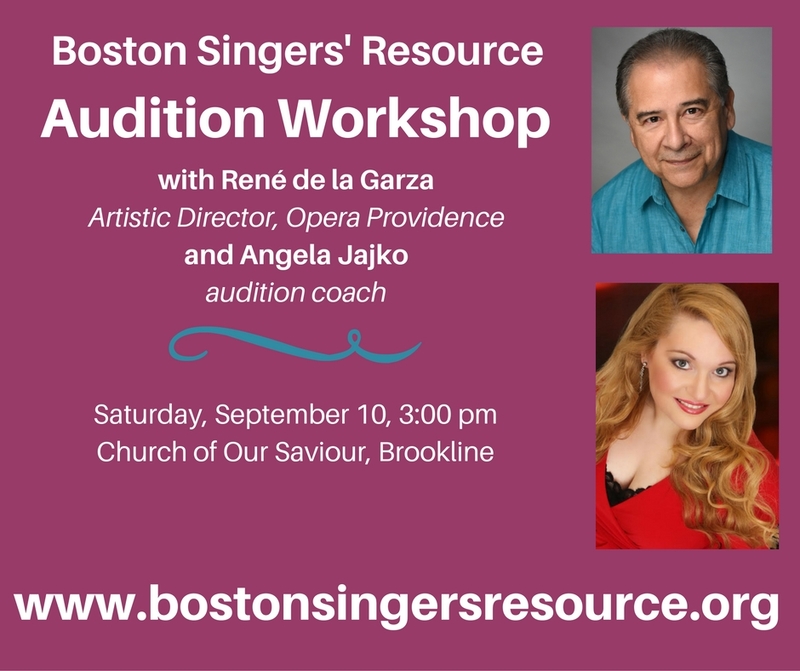 Join Boston Singers' Resource for an audition workshop on September 9 from 3:00-6:00 at Church of Our Saviour in Brookline. 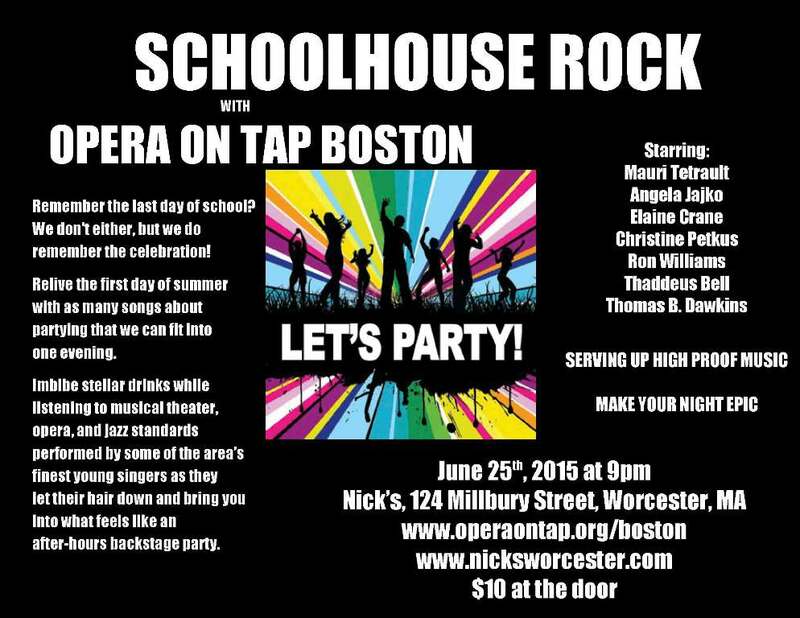 Participants will sing, receive immediate feedback, and learn from their peers in this interactive workshop. Kick off the audition season with a chance to refine your audition material. Members participating in the 9/23 open auditions are encouraged to present the four minutes they plan to offer. Members learn for only $25. Additionally, a donor has agreed to sponsor two student members - the first two BSR student members to commit to the workshop attend free! 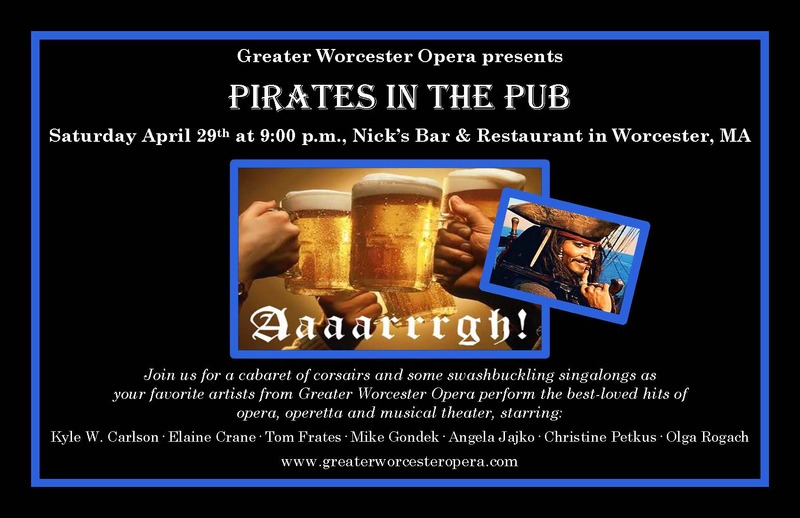 April 2016: Greater Worcester Opera presents Pirates in the Pub! 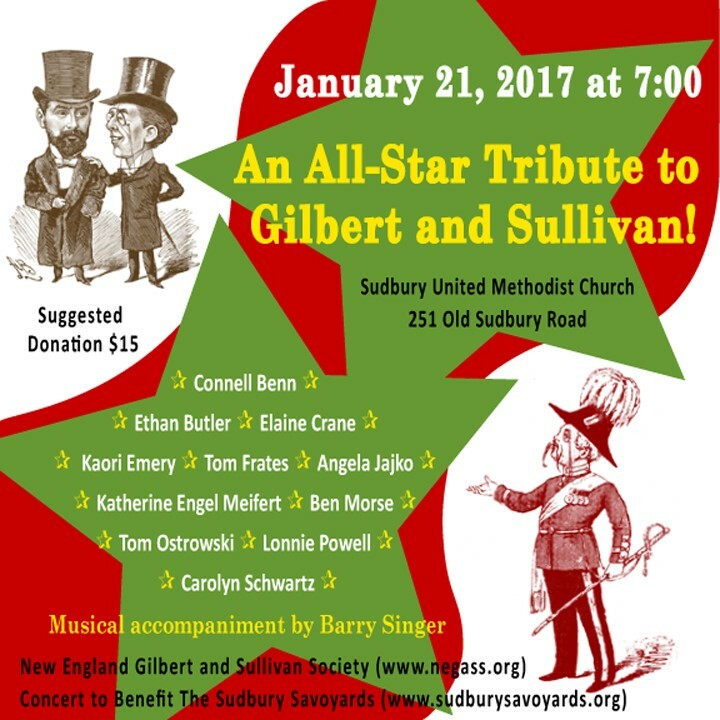 January 2017: NEGASS is proud to present An All-Star Tribute to Gilbert & Sullivan! 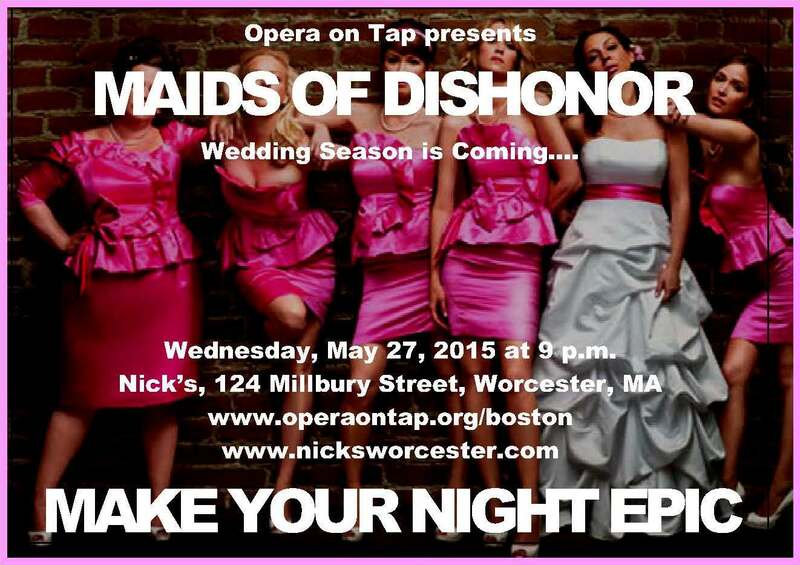 September 10, 2016: Boston Singers' Resource is excited to announce a 5-workshop series for the 2016-2017 season. 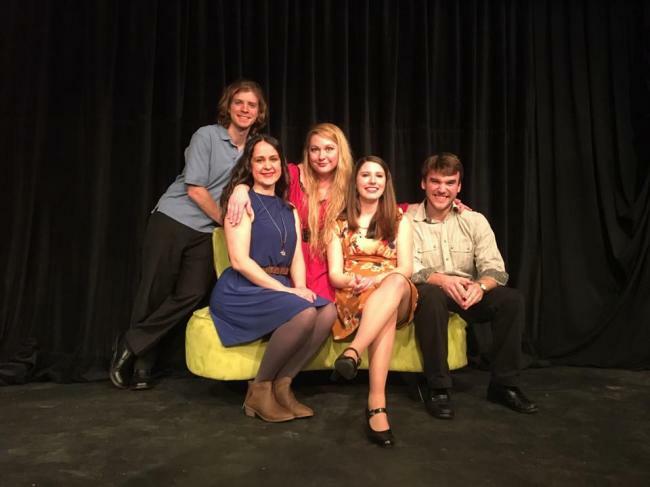 After the success of our last workshop, BSR will offer continuing education on auditioning, taxes, and stagecraft in upcoming months. 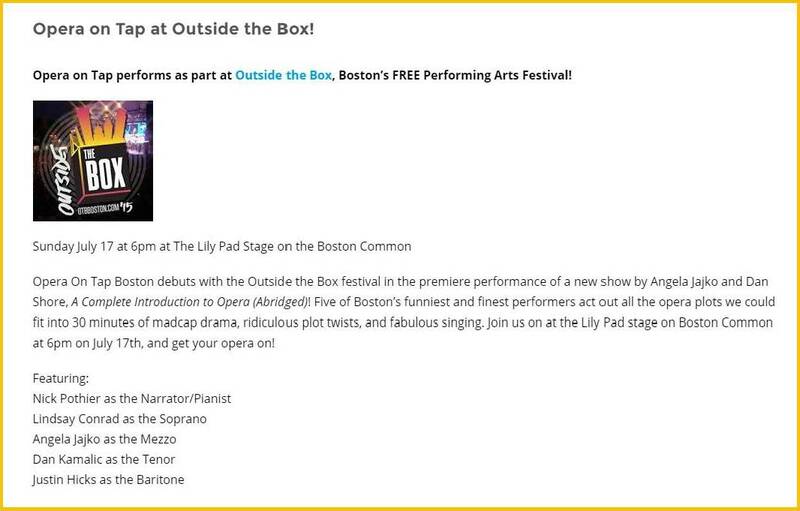 Our first workshop of the season will take place on September 10 at 3:00 pm in Brookline. 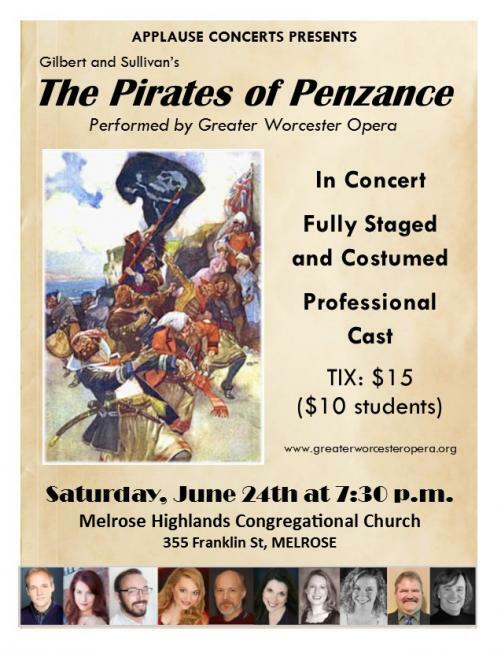 Join René de la Garza, artistic director of Opera Providence, and Angela Jajko, audition coach and Associate Executive Director of New England Light Opera, for an interactive session combining panel discussion and demonstration, master class coaching, and Q&A. 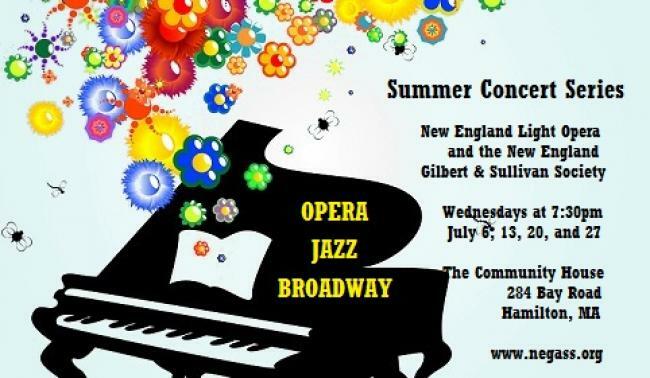 July 2016: Join Angela again this July for the annual New England Gilbert & Sullivan Society and New England Light Opera Summer Concert Series! 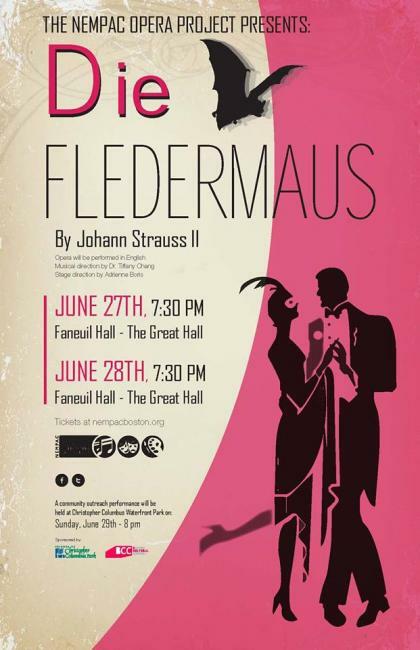 Hear some of the finest singers and pianists in the greater Boston area performing some of the most beloved music of all time in a different concert each Wednesday night in July! 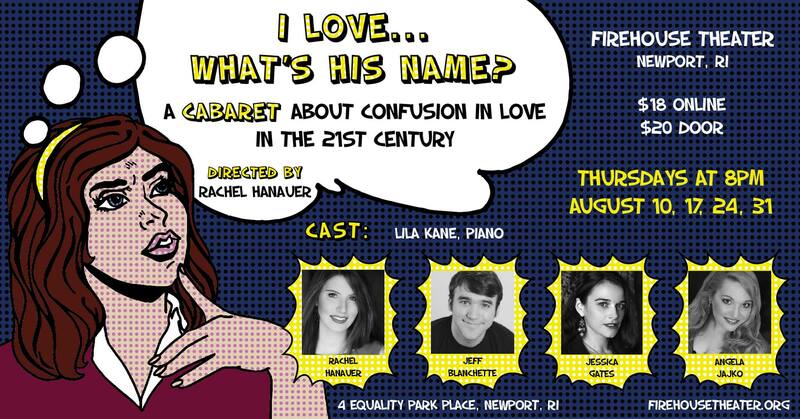 All shows are at 7:30 p.m. at the beautiful and air-conditioned Community House in Hamilton, MA. 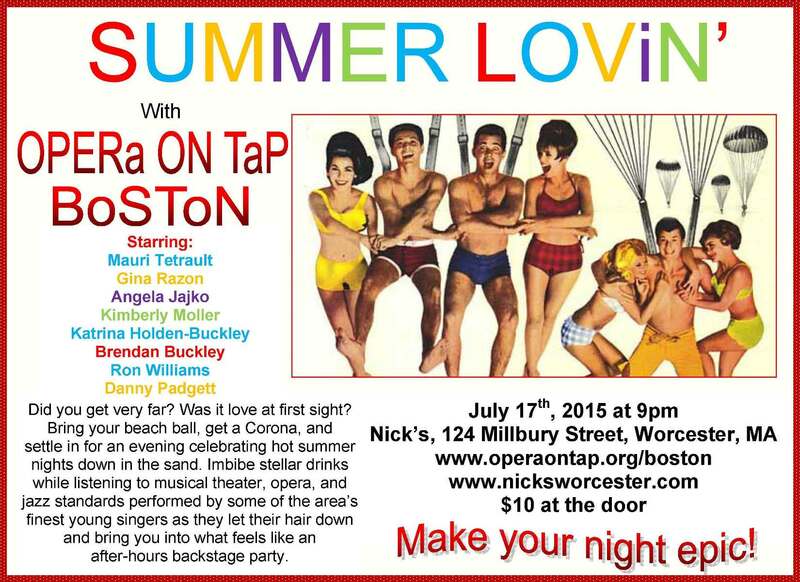 Opening night is July 6th, and the house is frequently packed, so get your tickets early! 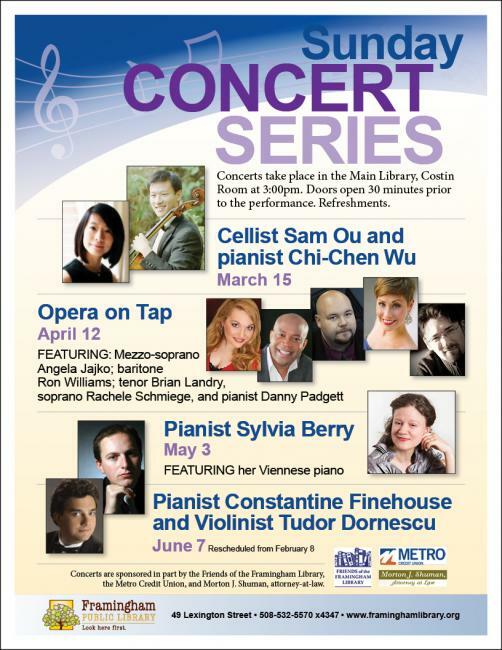 Buy a summer pass in advance and get all four concerts for an incredible value! 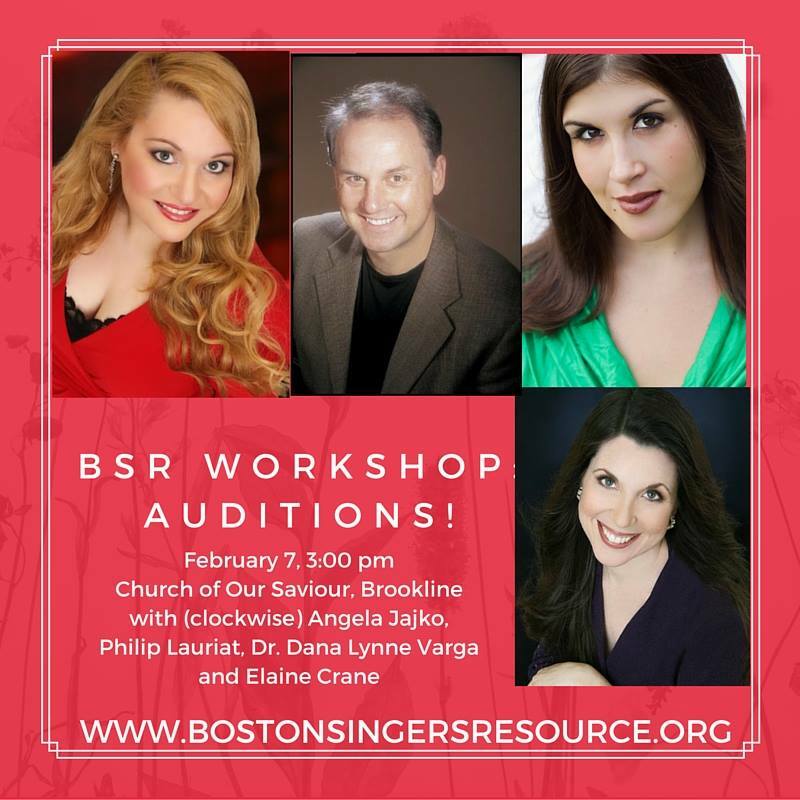 Boston Singers' Resource is thrilled to announce the first BSR Workshop: Auditions! Hosted by Dana Varga, Phil Lauriat, Elaine Crane, and Angela Jajko, join us for an interactive session combining panel discussion and demonstration, master class coaching, and Q&A. 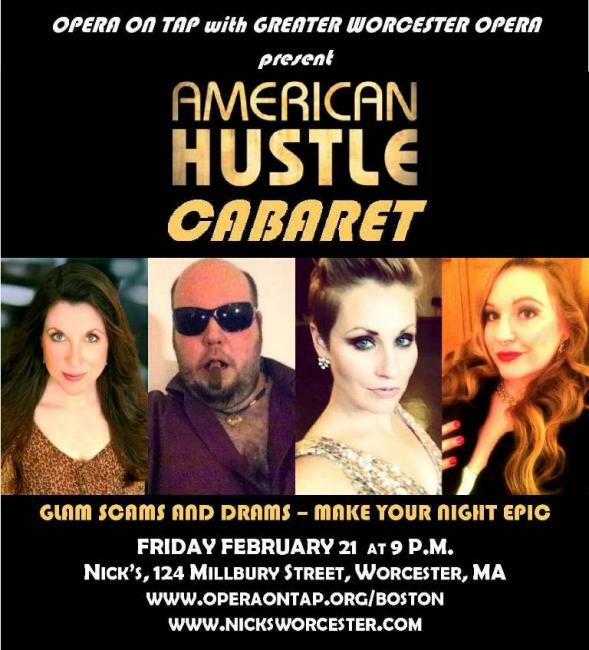 Our panelists bring deep experience from different areas of the business relevant to Boston-based singers: regional professional opera, young artist programs, college/conservatory, community theater, and open auditions for opera, operetta, oratorio, and musical theatre. 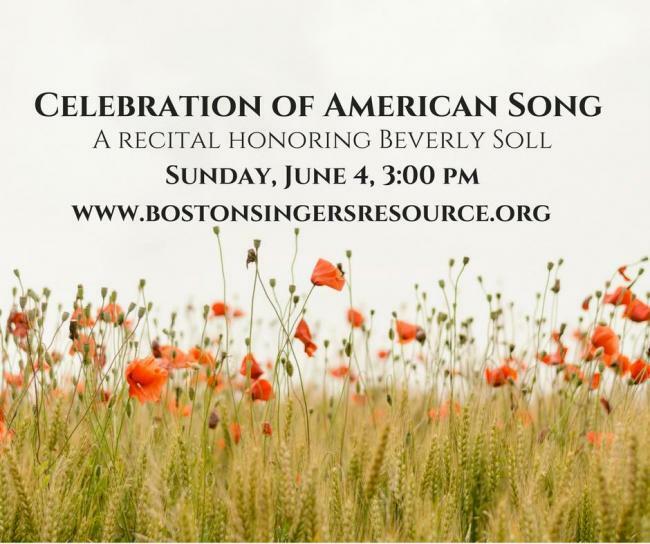 Learn what works and what doesn't work for different levels and genres, what matters to specific auditioners and companies, and what are best practices for achieving success on one of the many paths to a singing career. 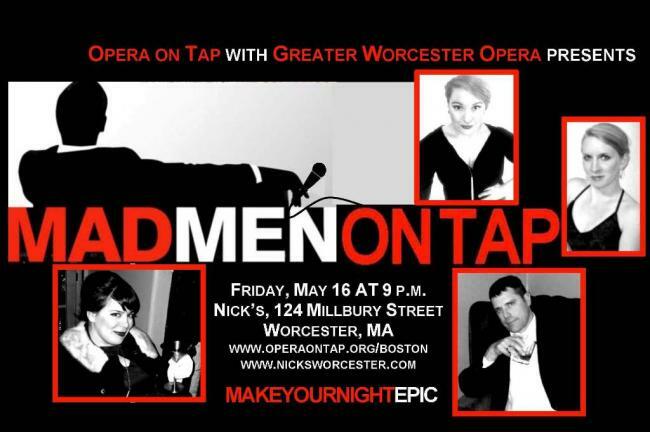 Up to ten singers will have the opportunity to master class with the panel on the audition piece of their choice, so register early to get a chance at one of these spots! 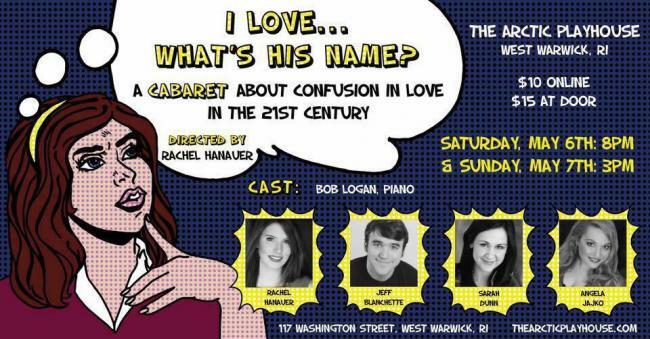 All registrants are welcome to participate in the interactive discussion and Q&A sessions to talk about specific questions or issues, so bring your resume, headshot, aria or song list, and/or audition outfit to ask for specific feedback. All levels welcome. The workshop participant fee is required to reserve your spot in the workshop. After your registration for the workshop is completed, you'll receive notice by email from us if you are also confirmed for a master class time. 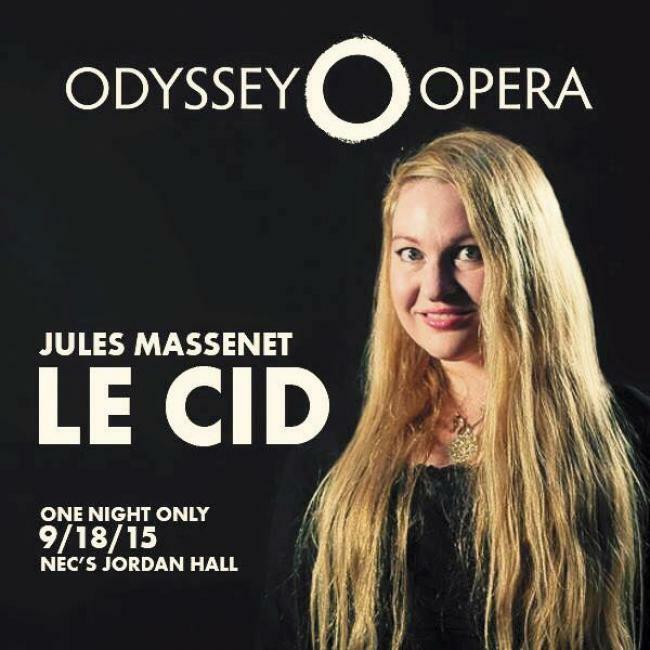 At that time you can provide the additional master class fee by visiting [payment link] or plan to provide it at the door. For emergencies or cancellations, please contact us, and we will apply your registration fee towards a future workshop with BSR. We look forward to working with you in February! Register now through this link. You will be redirected to this page to submit payment and complete your registration. 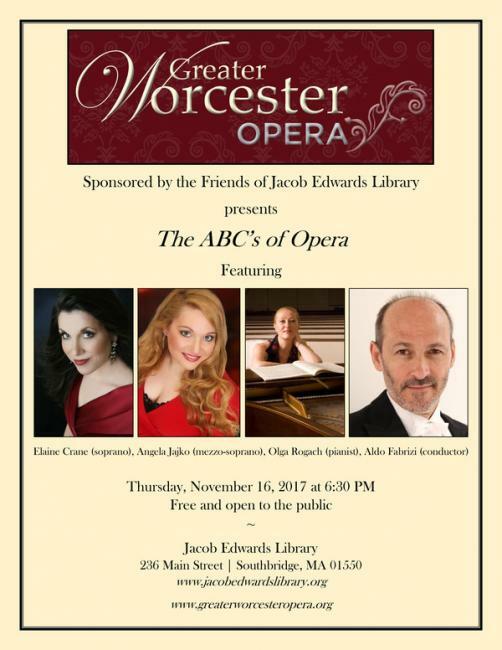 October 2014: Angela joins Boston Cecilia, All Saints Brookline chorus and an orchestra led by Nicholas White with concertmaster Dan Stepner for a performance of the Mozart Requiem in tribute to Donald Teeters, the former music director of the church and the chorus. 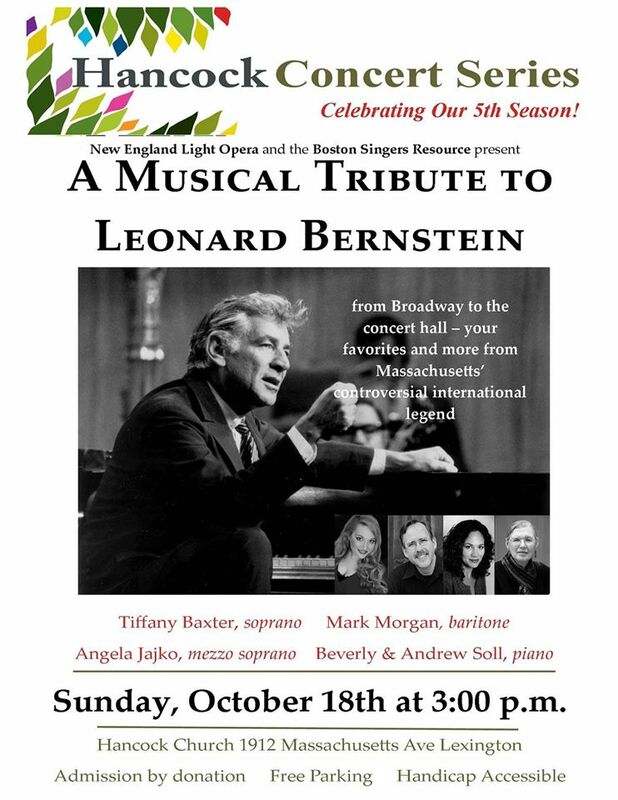 November 2014: L'Academie is thrilled to announce an official partnership for the 2014/2015 season with the Boston Symphony Orchestra.